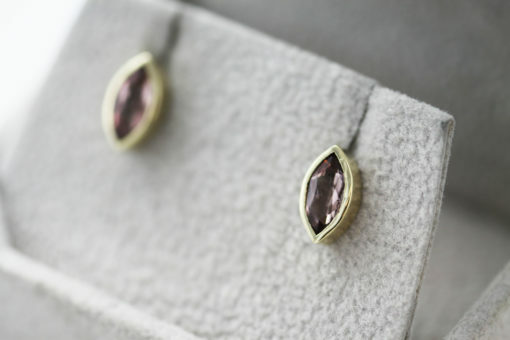 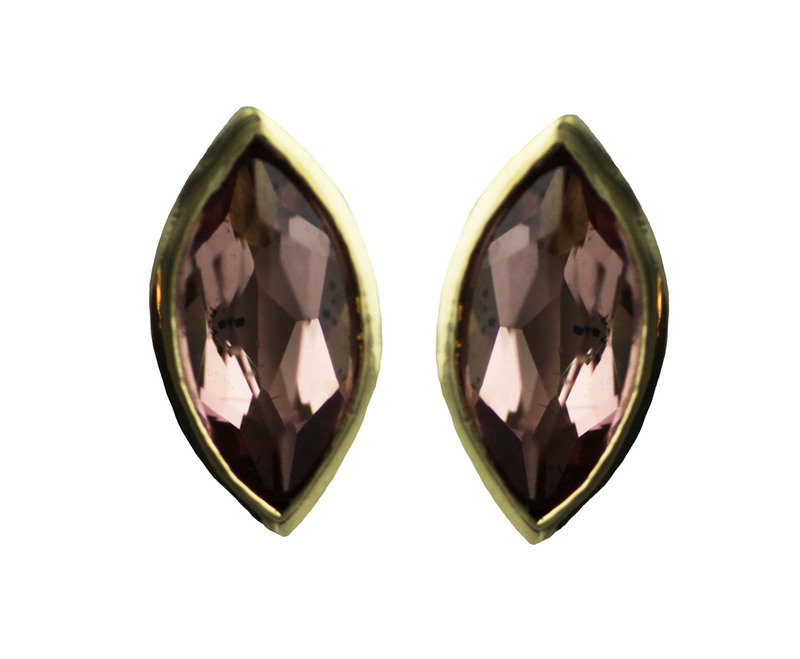 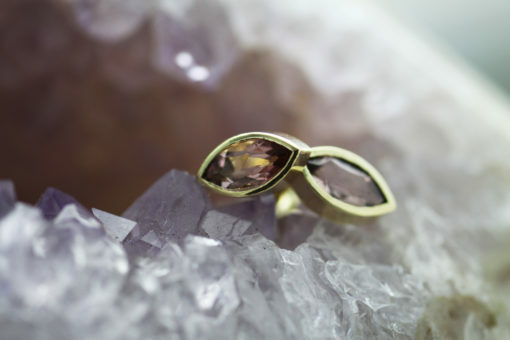 These beautiful 14k solid gold and genuine pink tourmaline earrings come to us from Moll Doll Designs. 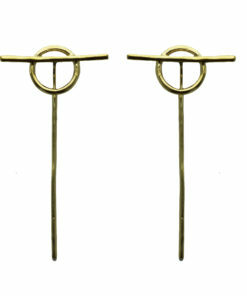 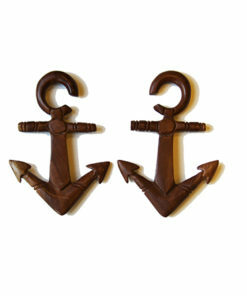 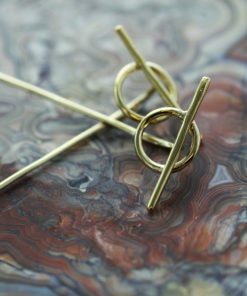 Handmade, these measure to about 5x10mm. 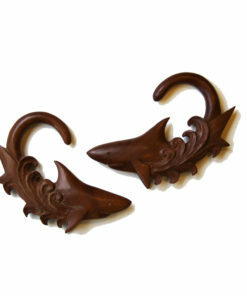 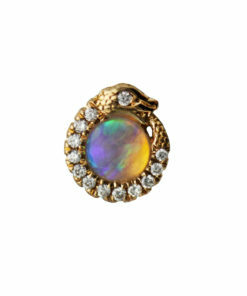 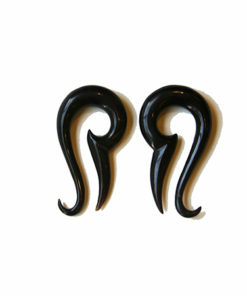 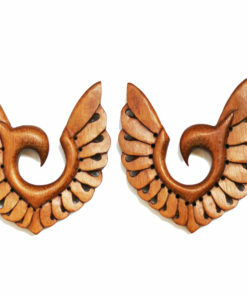 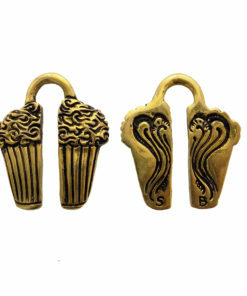 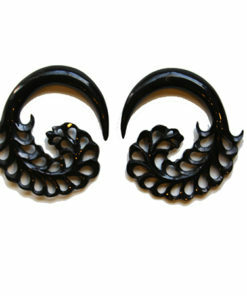 These are regular push back earrings, perfect for standard pierced ears!